The end of the 2012/13 football season is fast approaching for us all and that of course means… trophy season! Pendle offer free printing on all trophies and free postage on trophy orders over £100. 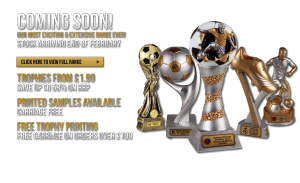 To order your football trophies today or to order your new 2013 brochure click on the following link.